Established for over 10 years and have over 90 regular customers. we aim to provide a personal service that meets your needs and schedules. Our company is based on the belief that our customers’ needs are of the utmost importance. Our entire team is committed to meeting those needs. As a result, a high percentage of our business is from repeat customers and referrals. 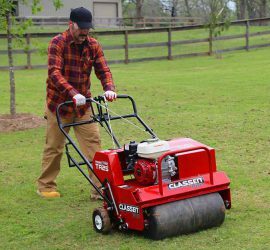 WHY SHOULD I TREAT MY LAWN? It’s a fact that lawns benefit from regular feeding. Without extra nutrients grass soon uses up plant food reserves in the soil and then turns pale and thin. Without food to develop side shoots and thickness, the lawn is open to invasion from weeds and moss that thrive in low nutrient conditions. On the other hand a regular supply of supplementary food makes your lawn thick and green, just as a well balanced diet helps children grow big and strong. 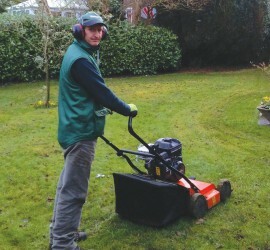 At Lawncare-4u we use a range of high quality professional products, not available to purchase from the garden centre which will control weeds, moss, and make your lawn lush, green and healthy. 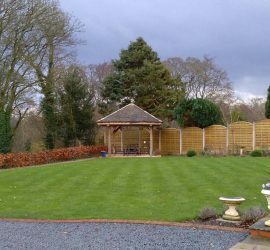 Using the correct nutrients and herbicides at the right time, we apply 4 seasonal treatments tailor made to care for your lawn. These are designed to combat seasonal variations of weeds, control moss, and protect throughout the year.